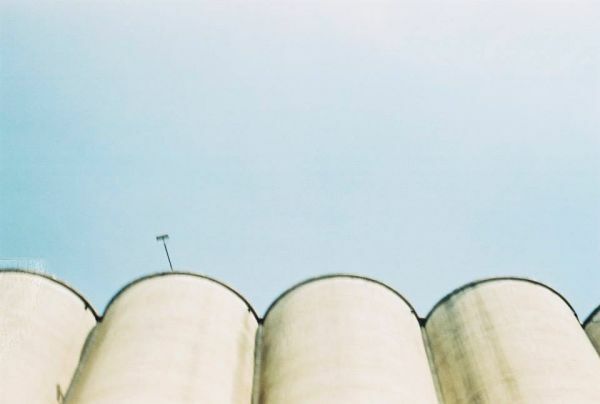 Content Marketing: How did I get here? Sometimes the online world can be confusing. A silly question like, "How did I get here?" might actually be a good place to start. I’m going to use this question to try to explain a few things that might be helpful for your online marketing efforts. How does Cali Commons use RenMind Network? Cali Commons is a shared community space for artists, makers and entrepreneurs to craft their stories. CaliCommons.net helps Cali Commons manage a cooperative marketing effort across the full community. RenMind Network is the backbone of CaliCommons.net. Luke provides and update for RenMind in 2018. Originally live streamed to facebook on 1-18-18. Please let us know if you are interested in learning more about our services and software. Yes, I'd like to schedule a time for a 1-on1 demo! For existing clients only! Now you can book a time to talk with us, that works for you -- all online. Yes, I want to schedule time with a support rep! I like thinking about things in layers. In this case the layers are all connected by the internet. Let me digress just for a second (even though we haven’t started) to ensure we all grasp this detail. Thanks for visiting. We're going to start off by logging into your Channel account. This is just a quick walkthrough that touches on logging in and resetting your password in case you forget your credentials in the future. If you have trouble remembering your username, you can send in a support ticket to support@renmind.com, and we'll be happy to help you out. Hi. In our second lesson, we’re going to update a Company Profile in the Settings area. In this area, you can update your business information, load a new company logo, and reset your password. Two things you can try yourself are adding a logo and a company photo to reflect your company, and then updating your short url to make your site easier to find. It's the fourth assignment for the Channel Intro Series. On this one we're going to set up an article in the Publish area of Channel and then add a header image. There is sample text and an image provided below as an example (you can also use your own). We're also going to take a look at other features of Publish. 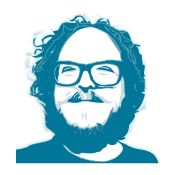 Let’s take a tour of the Wire front-end to see what your visitor’s experience will be like. The apps you activate will be visible with their own page, so your site visitors can see your Reviews, Offers, Giveaways, Publish posts, and more. Hi, thanks for signing up for the second lesson series about the Contact Area of your Channel account. We're going to start off with an intro on adding contacts, then walkthroughs on how to use the different upload options. The following lessons will have deeper explanations of these options with text and video tutorials. For right now we're going to have an introduction on uploading contacts. This is the second lesson in our series about the Contacts area. We're going to talk about the importance of using Fields to make managing contacts a whole lot easier. You can also watch the video to get a good idea of how they're used and how to create them. You will also learn how to set one up, and how they relate to uploading new contacts. This is the fourth lesson in our Contacts Area Series. 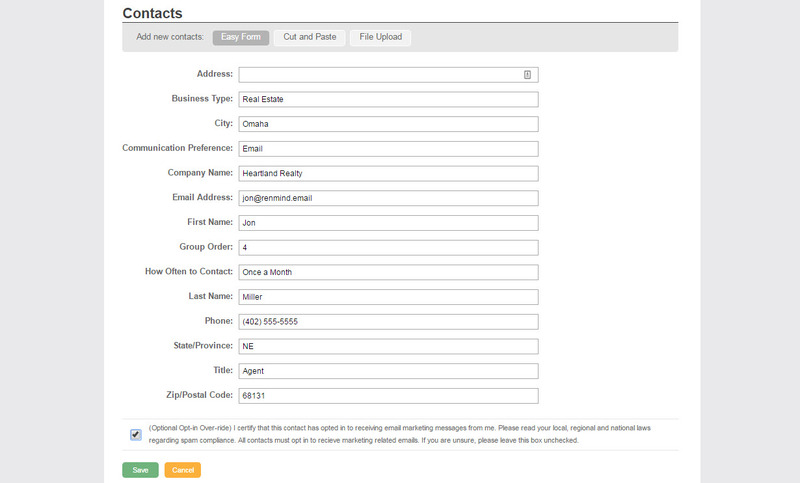 We've looked at Fields, using the Easy Form, and now we're going to see another way to upload contacts into Channel. 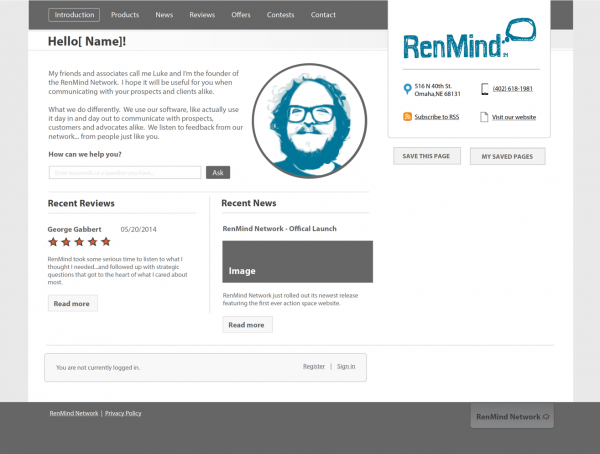 You can log in at any time by going to www.renmind.net or your Cable Admin’s url. Enter the username and password you were originally given. How Can I Find Out My Username or Password? You can always see the Username your account was set up with under the ‘Profile’ tab under ‘Settings’. The ‘Profile’ area is also the place you can reset your password at any time. How Do I Activate New Apps In RenMind Wire? When you first log into your Wire account you will see the “My Apps” area. This is the place you can activate or deactivate any of Wire’s apps. I suggest turning them all on and experimenting to see how you can use them together to increase your contact engagement. What Is A Field and How Can I Set Them? This video is about the importance of Fields in RenMind Wire. You will also learn how to set one up, and how they relate to uploading new contacts. Your Wire account gives you three different options in uploading your new connections. If you receive more information about customers, clients, and contacts you can add their information to your Contact area. The Easy Form is one of these options. The video will step you through how to use the Easy Form option. Your Wire account gives you three different options in uploading your new connections. If you receive more information about customers, clients, and contacts you can add their information to your Contact area. Cut and Paste is one of these options. 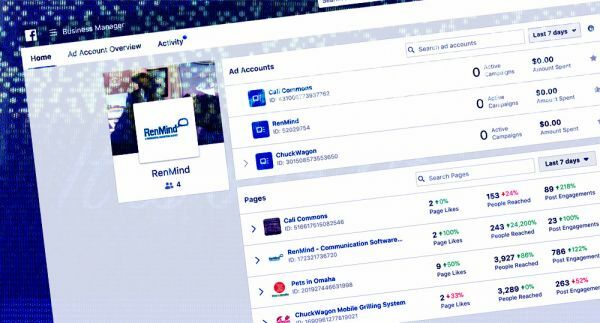 One thing RenMind has been asked a lot about is, "How do I view what my visitors see when I'm logged into my Wire account?" It's a very good question and one that we didn't have a good solution for until last week. Your Wire account gives you three different options in uploading your new connections. If you receive more information about customers, clients, and contacts you can add their information to your Contact area. The File Upload option is one of these ways. If you want to upload many contacts at once, getting to know the File Upload option will help you import a batch, or multiple contacts, all at the same time. You can do this by using a Comma Separated Value (.CSV) spreadsheet. Anyone can do this with access to any spreadsheet program, such as Microsoft Excel. How Do I Change The Sender Name On My Emails? Personalizing you email messages isn’t limited to the text of the email itself. Another thing you can choose is the Sender Name on the emails you send from your Wire account. You can choose between your first name, last name, first and last name, and your company’s name. Understanding Fields is one of the most important aspects of using Wire. Fields let you set up information in categories that will help you sort, build lists and keep track of information in the future. There are several ways to set them, but we’re going to go over what Wire has to offer with its built-in Fields. We talked about ways to upload your lists. The most powerful one, especially when you have a large group of contacts, is the File Upload option. So, I’m going to explain more about the .csv files you’ll be using to upload your information through the File Upload and how to safely save them from your spreadsheet program. 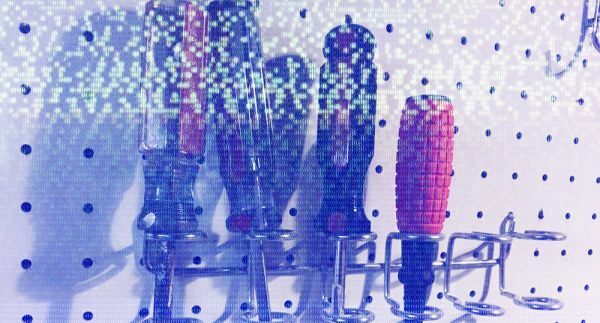 What Exactly Is A CSV File? What type of business can you start with RenMind? We think there are hundreds of different possible scalable service business networks you can build with RenMind Cable. This tour is intended for those who are interested in our pilot program, or purchasing a cable account to start a business reselling software and service. It's basically broken into a few segments. Part 1 - What is RenMind Wire? Can you imagine a software that streamlines the execution of your marketing strategies across multiple franchise locations at the same time? When you become a Cable Partner in the RenMind Network, you’ll be able to pull the marketing strings and capture data to validate your efforts in hundreds of locations at once. Can you imagine a software that streamlines the execution of your marketing strategies across multiple clients or locations at the same time? When you become a Cable Partner in the RenMind Network, you’ll be able to pull the marketing strings and capture data to validate your efforts in hundreds of locations at once. How do you communicate your key messages? Websites are too passive, email marketing is painful, social media strategies are time intensive and pay per click ads cost a fortune. 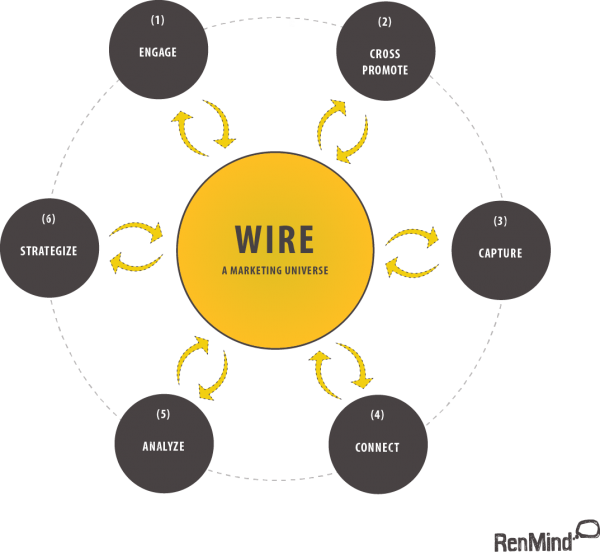 When you become a Wire Member of the RenMind Network you’ll be able to focus on designing your messages, engagement strategies and selling processes — our software will help you do the rest. One year ago (1-16-16) after 5 1/2 years of R&D projects and paid tinkering around we announced the first publicly available version of RenMind Network. Today, just over a year later we are here to take a look at our second major release of RenMind Network. How Do I Know If an Email Is Scheduled or Was Sent? Once you go to Send or Schedule a New Bulk Email, you can see the progress of your email sends in a few different areas of the Email area. To get to this area you’ll have to be in the Contacts area then click the ‘Email’ button on the navigation bar. Once you’ve created a new email you have two options while scheduling: Send Now and Schedule for a future date and time. 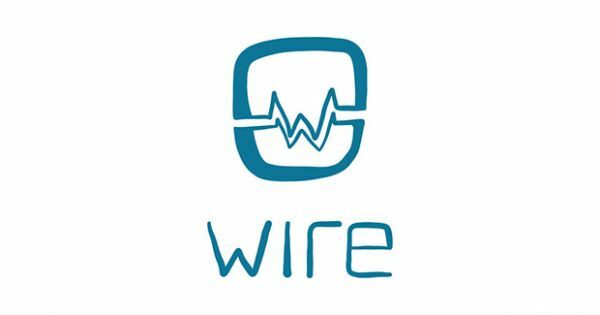 RenMind Wire is a growing suite of applications all built to work together from the ground up to provide better communication through real insight and usable metrics. Specific Use Cases: NPI / GPI Hub was designed to target specific common marketing problems. View your contacts, edit them, add them to lists. Wire from RenMind Network is a marketing platform with a lot of functionality. Your Wire account lets you organize contacts, send email newsletters, post content, create offers and start contests. All of these features work together to create a marketing funnel that saves time and gives you more control of your contacts and leads. 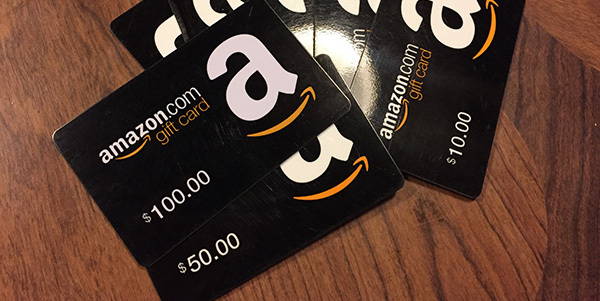 To celebrate the release of RenMind Network and also the arrival of Spring, we're giving away Amazon Gift Cards. The Review App is an effective way for your business to gain attention through user reviews. You can add links to your website, post them on social media and distribute them on printed materials via QR codes. The Review App gives you control over your reviews too. If you do get less than awesome feedback you have the opportunity to respond directly to the reviewer. The Settings area gives you options. 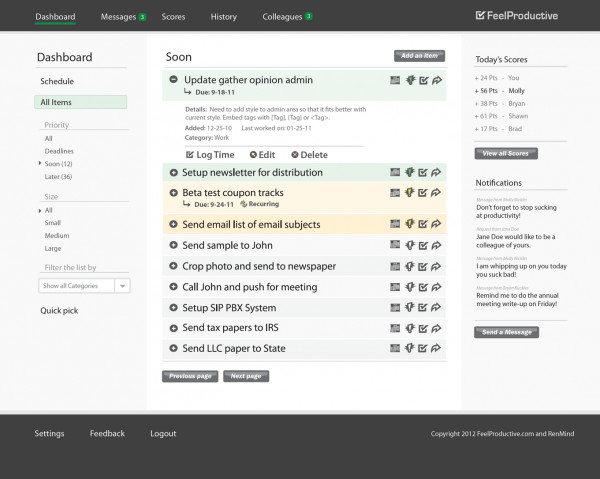 This is where you control your review content, response messages, and automatic approvals. For a general overview of the Review App click here. The My Reviews section of the Review App is the place where you’ll see all of your existing reviews. There are 3 main parts to it and we’ll give you an in-depth look below. For a general overview of the Review App click here. The Get Reviews section of the Review App is where you can find a variety of ways to solicit reviews. There are 3 main features to this area listed below. For a general overview of the Review App click here. This Advanced Features area gives you a whole bunch of options when it comes to customizing your Review App. It gives you the flexibility to encourage reviews through email signatures, QR Codes, Facebook and more. The Offer App is one piece to the RenMind Wire network of applications. With Offer you can create deals and coupons for your customers. How you share these is up to you. You can embed them in your emails with a link, use Offer’s dedicated landing page, or even highlight one for inclusion on all of your Wire landing pages. What Is the Difference Between Impressions, Views and Leads In the Offer App? RenMind started as a solo project of Luke Armstrong with support from Shawn Clapper (C-Blend). It has expanded to include a collective of polymaths. Most often we design and develop custom web solutions for organizations. 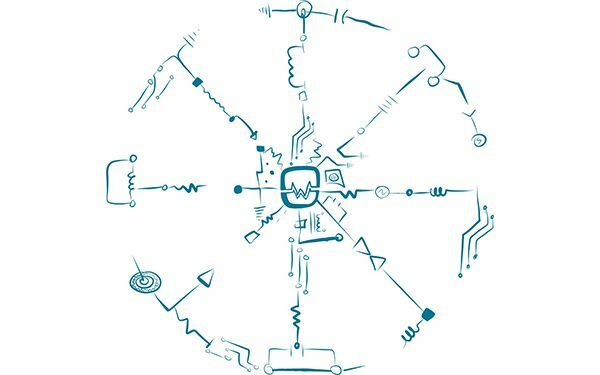 In 2014, we started combining several of our R&D projects into a single software tool initially dubbed RenMind Network. This is the team that made that product possible. Giveaway is a great way to generate customer participation through social media, email newsletters, your RenMind Wire landing page, and much more. Generate conversation and encourage participation among potential and returning customers. Start with a contest, share the link, and capture marketing leads instantly. Giveaway is a great way to generate customer participation through social media, email newsletters, through your RenMind Wire landing page, and much more. Generate conversation and encourage participation among potential and returning customers. Start with a contest, share the link, and capture marketing leads instantly. What Should I Set For My Giveaway Rules? Work began at 9:00 AM on Thu, Dec 24, 2015 was completed at 3:03 PM. All RenMind services should now be running. Reason for Outages: We are working on some urgent email improvements today so you will be unable to send until these updates are complete. We hope to have these updates implemented soon and will provide an update on http://renmind.info when email sending can resume. This is article 2 of a series of 5 ways to use the most essential part of Wire: The Contact Area. It lets you manage your connections in new ways, build lists to target audiences, keep detailed notes and updates on contacts, and follow up on leads. In this article I want to help you use the networks you already have, or can gather quickly to build an email list. -- Lesson 1: Overview -- Administrative controls built for Brand Managers. -- Lesson 2: Overview -- Understanding the backend of your marketing site. Lesson #1: Overview -- Understanding the frontend of your marketing site. My name’s Bryan and I’m the guy who knows Wire better than anyone, ever. And I’m really excited about telling you all about it. I didn’t develop Wire, but I use it every day for big clients, and small businesses that range from home inspectors to gourmet coffee roasters to landscaping companies. It’s November, 11th 2015 in Omaha, Nebraska. I’m looking outside, right now, and you know what? It’s snowing. Seriously, summer’s over and now fall’s gone too. I have to admit that I’m kind of sad. Software cooperative built for marketing local businesses - As imagined in April of 2014 per evernote artifact. Leverage a community! Get access to a growing software collection and a creative community to support your small business. 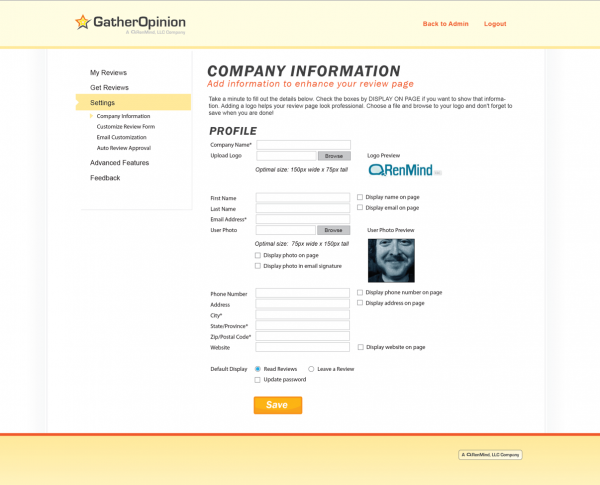 GatherOpinion.com helps you collect reviews or testimonials from past customers. These reviews will establish your credibility and help you turn browsers into buyers.